Hamilton College and the Green Science Policy Institute (GSP) are partnering to develop research opportunities for undergraduate science students that meld analytical toxicology with public policy and civic engagement. 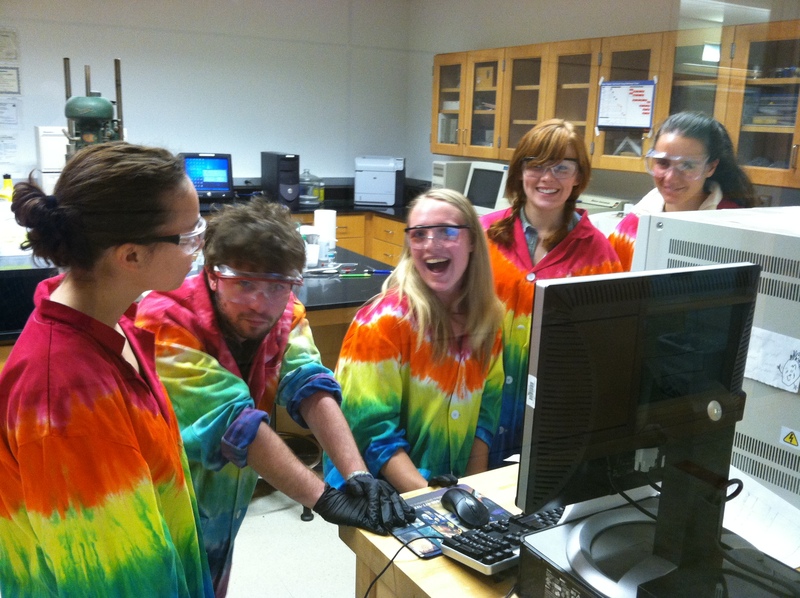 Dr. Tim Elgren of Hamilton College, and Dr. Arlene Blum and Ms. Avery Lindeman of GSP, have transformed Dr. Elgren’s existing Introduction to Chemistry course (a 2010 SENCER Model course) into a toxicology lab, which includes civic engagement elements to provide students with opportunities to share their findings with the public. Unlike the other SENCER-ISE partnerships, which are between locally situated organizations and institutions, Hamilton College (Clinton, NY) and GSP (Berkeley, CA) are unique in that they are based thousands of miles apart. 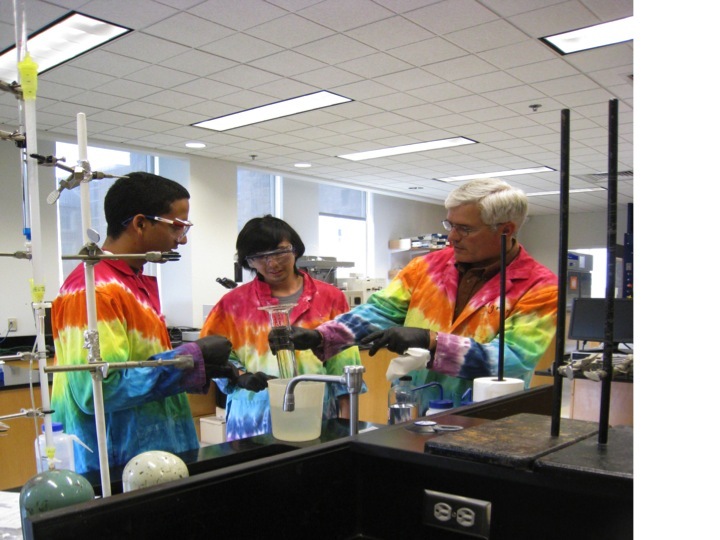 Despite the geographic and time differences, Hamilton College and GSP have created a successful partnership and lab course that examines the real-world applications of chemistry. The partnership’s use of technology during the fall semester allowed Dr. Blum and Ms. Lindeman to become involved remotely but directly in the course and the students’ learning. WebEx, a video conferencing service, was used throughout the course to maintain communication between GSP and the Hamilton students. Dr. Blum presented her lecture Principles of Chemistry in the Context of Health and Environmental Chemistry to the class using WebEx. Click here to watch a recording of that lecture. Dr. Blum and Ms. Lindeman also held one-on-one meetings with students using the conferencing service. After making analytical measurements to quantify human exposure to various toxins found in common household products, the students developed projects to share their findings. 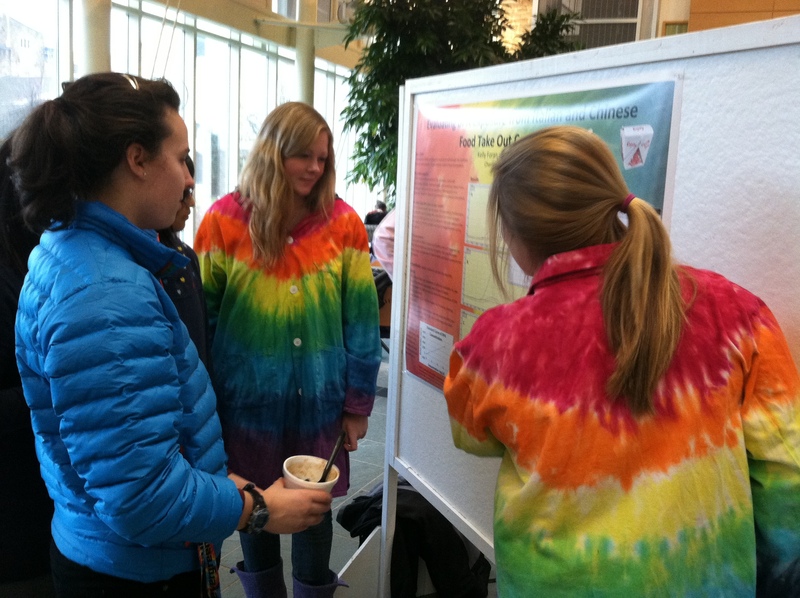 Students then received individualized consultations with GSP before finalizing their projects and presenting them at “The Toxic Poster Session,” held on campus. Projects included information on halogenated flame-retardants in campus furniture, bisphenol A (BPA) in instant soups and noodles, wine, packaged tuna, and infant formula, benzidine in imported garments, and perfluorooctanioc acid (PFOA) in pet food and microwave popcorn. The partners intend for future Introduction to Chemistry students to reach beyond campus by communicating their results to decision makers in government and industry and, through contacts with media, citizens in the public, who can make or ask for changes to protect the public’s health and the environment. The questions are beginning to extend beyond the simple act of measuring toxins to a broader consideration of the next important question, whether that be moving the science forward, considering the broader impact of the work and identifying important audiences that should be informed about the findings. GSP feedback on the structure of the projects has also been invaluable. During one of our conference calls, Dr. Blum and Ms. Lindeman suggested that each team should develop a “Fact Sheet” for their toxic compound (for “The Toxic Poster Session”). This simple assignment has improved the quality of the presentations and allowed the presenters to hand useful information to people who stop by to view the poster. The partners are beginning to discuss how Hamilton College can assist GSP in their efforts to develop other educational materials and curricula to make it easier for more educators to introduce these topics and strategies in their classrooms. Posted in Hamilton College & Green Science Policy Institute, Partnerships.